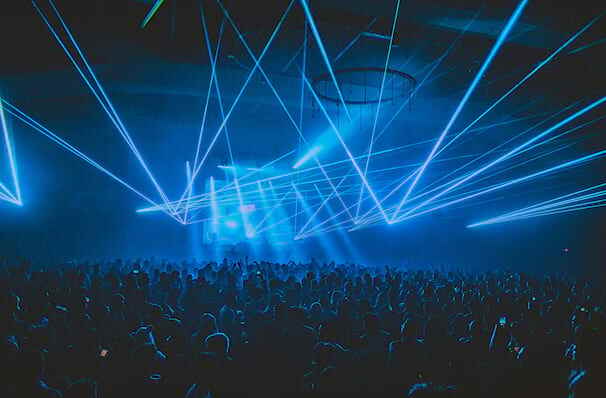 Get ready for a night of serious bass and mind-blowing visuals. A producer of dubstep, drum and bass, and breakbeat, Abel is known for his dark, bass-heavy music, incorporating the morphing basslines of drum and bass, the aggressive energy of metal, and the laid-back vibes of hip-hop. Now, he heads off on his biggest, heaviest tour ever - APEX 2019! 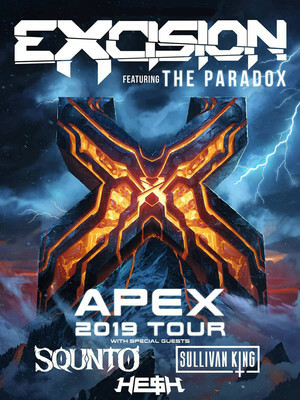 Headbangers, don't miss your chance to experience EDM legend Excision's newest and biggest tour to date, in support of his highly anticipated record Apex. Set to feature earth-shattering bass, and Excision's signature dub drop against the world famous Paradox visuals, this is going to be one live show you won't want to miss! With support from Squinto, Sullivan King and He$h to heat up the stage, expect incredible effects that fuse Dinosaurs and robots, and of course, the sickest beats on the planet. Seen Excision? Loved it? Hated it? Sound good to you? Share this page on social media and let your friends know about Excision at Bill Graham Civic Auditorium. Please note: The term Bill Graham Civic Auditorium and/or Excision as well as all associated graphics, logos, and/or other trademarks, tradenames or copyrights are the property of the Bill Graham Civic Auditorium and/or Excision and are used herein for factual descriptive purposes only. We are in no way associated with or authorized by the Bill Graham Civic Auditorium and/or Excision and neither that entity nor any of its affiliates have licensed or endorsed us to sell tickets, goods and or services in conjunction with their events.